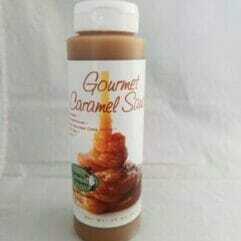 Our rich creamy caramel sauce. 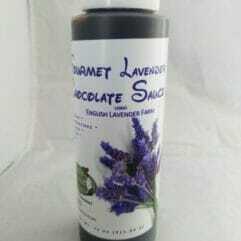 Comes in an 11 oz Bottle. 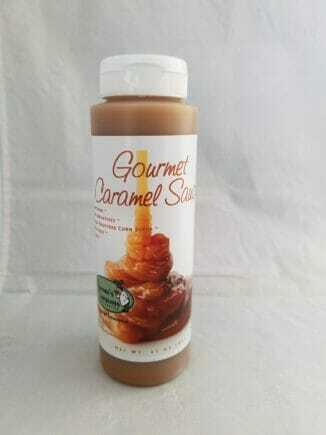 Our customers pour the Gourmet Caramel Sauce on everything from ice cream (of course!) 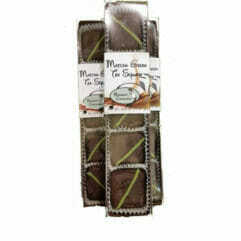 to waffles, pour it in coffee and tea, on top of fruit and some even enjoy it straight from the bottle. Let us know what you love it with! 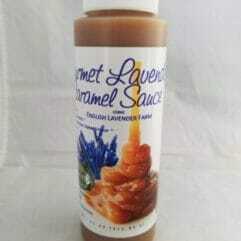 Our rich creamy lavender caramel sauce. 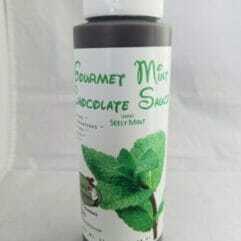 Comes in an 11 oz Bottle. 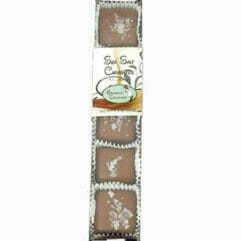 Sea Salt flakes sit on top of a Milk Chocolate or Semi-Sweet (58% Dark) Chocolate covered Caramel Square. 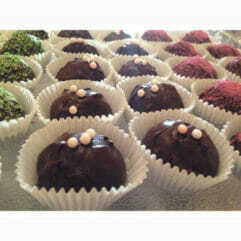 Comes in a box of 5 pieces. 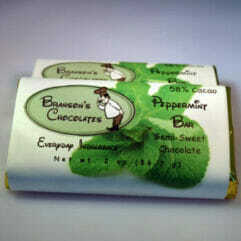 Locally produced peppermint oil is mixed into this dark chocolate bar. 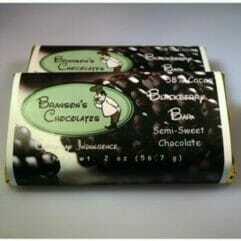 Chocolate Bars are available singly, or in boxes of 6. 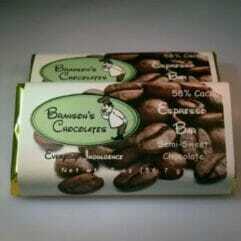 Finely ground espresso is mixed into this chocolate bar. 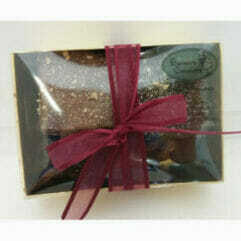 Chocolate Bars are available singly, or in boxes of 6. 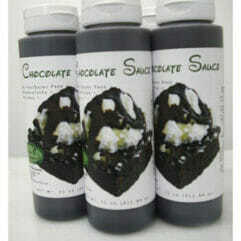 Our rich dark chocolate mint sauce. Comes in an 11 oz Bottle.